Competition for engineers is stiffer than ever, and it’s made the hiring process exceptionally tough. To boost and maintain growth, companies must invest the time and resources it takes to find the best candidates. For online guided shopping software solution PERQ, a rapidly growing customer base and an exciting product roadmap drove a need for more engineers. 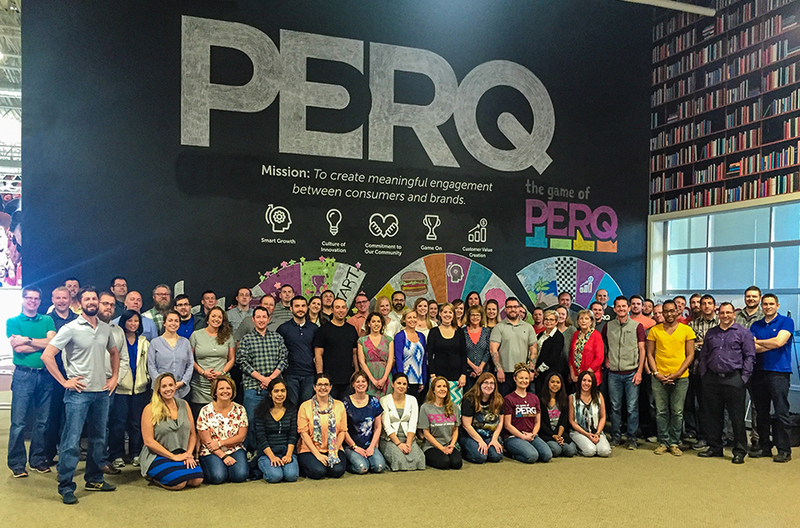 Curt Knapp, PERQ’s vice president of technology, was re-engaging hiring after nearly a four year hiatus. Curt oversees all things technical: he leads and manages the engineering team, the QA team, the data science team, the technical implementation team, and the IT team. His time is at a premium, as is the time of his team members. As PERQ explores new markets, creates new product functions, and optimizes the company’s current solutions, Curt knew he needed to find high-quality engineers that could easily fit into the team and start being productive right away. But, like all good engineers, he saw room for improvement in the hiring process he used four years ago. “My previous process involved two stages: I’d do a phone screen for culture fit and a little bit of technical skill evaluation,” Curt said. “Then we’d bring a candidate in for an on-site interview where I’d have some of the other team members ask questions. We might give a coding sample, put them in front of a whiteboard, or ask more technical and culture questions.” It’s a process that, while sometimes tedious and slow, had worked when PERQ was at a smaller scale. The market for engineers is highly competitive. Companies are fighting over skilled candidates and in-demand engineers are fielding multiple offers. After researching several testing exercise options, Curt considered implementing Woven’s evidence-based developer hiring platform to help him with his latest round of hires. The last time he conducted an engineer search, he relied heavily on his own professional network to find candidates. “I hadn’t really sat down and thought about what my development hiring process would look like,” he said. “My current process worked, but it also wasted time: I’d have to pull people off their projects to help interview candidates, have them spend time making exercises. That’s time our engineers lose on getting work done.” Curt and PERQ needed a solution that would help them attract more candidates, present a better gauge of their abilities, and determine how potential hires would work out in real-life situations. Curt worked with executive leadership and decided to implement Woven. The process has transformed the way his team evaluates candidates, helping them find the high performers they might have otherwise missed. It’s a process that’s made a significant difference in the candidates PERQ attracts: from a pool of four applicants, PERQ made offers to three of them. That’s a much higher success rate than Curt’s previous process. And with Woven, he was able to take a candidate from interview to onboarding in just over a week – just a fraction of the time his previous process would have taken. PERQ’s plans to grow includes more engineering hires, and Woven is now an integral element of Curt’s search for the best candidates. It also delivers a better candidate experience; by giving potential team members a glimpse of what it would be like to work with PERQ’s product, both the company and the candidate have a clear understanding of what’s expected. Are you interested in learning how you can streamline your hiring process, so you can spend more time interviewing engineers you’ll actually want to offer? Request a demo of Woven. We’d love to show you how we can help.